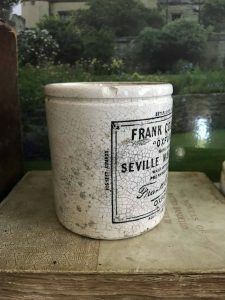 This wonderfully charming pot is an early version of the sought after Frank Cooper Marmalade. 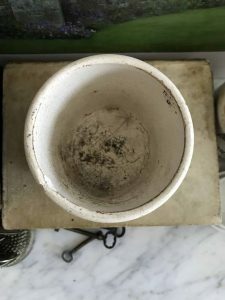 Overall good condition with a minor chip and beautiful crazing throughout. 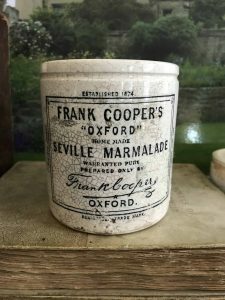 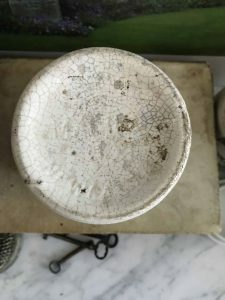 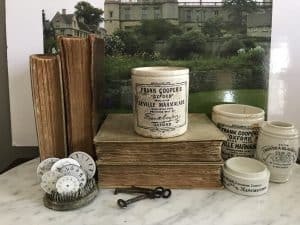 Frank Cooper Marmalade pots are rarely found in the United States.